There have been considerable advances in monitoring training load in running-based team sports in recent years. Novel technologies nowadays offer ample opportunities to continuously monitor the activities of a player. These activities lead to internal biochemical stresses on the various physiological subsystems; however, they also cause internal mechanical stresses on the various musculoskeletal tissues. Based on the amount and periodization of these stresses, the subsystems and tissues adapt. Therefore, by monitoring external loads, one hopes to estimate internal loads to predict adaptation, through understanding the load-adaptation pathways. We propose a new theoretical framework in which physiological and biomechanical load-adaptation pathways are considered separately, shedding new light on some of the previously published evidence. 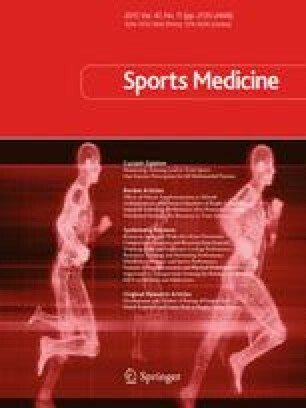 We hope that it can help the various practitioners in this field (trainers, coaches, medical staff, sport scientists) to align their thoughts when considering the value of monitoring load, and that it can help researchers design experiments that can better rationalize training-load monitoring for improving performance while preventing injury. No financial support was received for the conduct of this study or preparation of this article. Jos Vanrenterghem, Niels Nedergaard, Mark Robinson, and Barry Drust declare that they have no conflicts of interest relevant to the views shared in this article.